Sasaki Time: Vehicle Review: 2017 Hyundai Sonata Sport - Cars Land, Food Adventures and the Pizza Planet Truck! 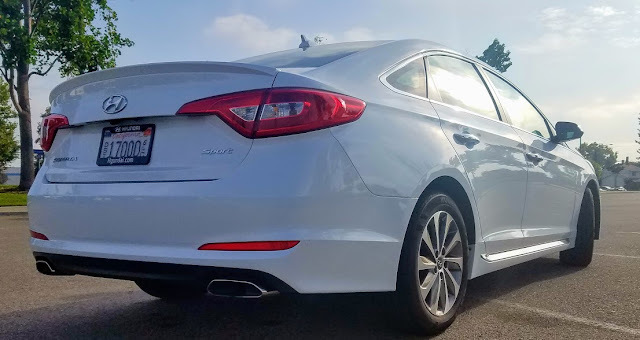 Vehicle Review: 2017 Hyundai Sonata Sport - Cars Land, Food Adventures and the Pizza Planet Truck! The latest vehicle review is for the 2017 Hyundai Sonata Sport. No better place to take the Sonata Sport than to The Disneyland Resort! The sun is coming up as we are early to the parking lot! Cars Land here we come! Take a look at the image above for a 360 view of Route 66 in Radiator Springs shortly after the nightly neon lighting ceremony! This lighting event occurs just after sunset and is a sight not to be missed! After a great day in Cars Land, the next day it was off on a food adventure of course! But first let's take a look at the smooth lines of the 2017 Hyundai Sonata Sport! All trims come with heated side mirrors and automatic headlights. The Sport version has dual exhaust pipes, a sport front grille and LED daytime running lights. The Sport also comes with 17-inch wheels. The engine is a 2.4-liter 4-cylinder GDI engine with a 6-speed transmission that generates 185 hp. Fuel economy comes in at 25 mpg in the city/35 mpg on the highway/28 mpg combined. There are also some solid safety features including a rear-view camera, traction control, stability control and brake-assist features. Inside there is a full compliment of airbags including a driver's knee airbag. 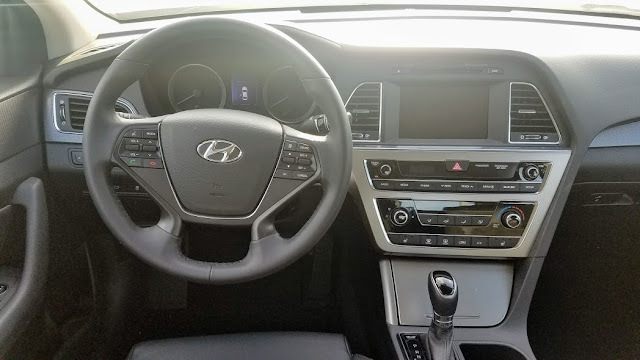 Take a look at the image above in 360 of the spacious interior of the 2017 Hyundai Sonata Sport. The driver gets an 8-way power adjustable driver's seat. The Sonata easily seats five passengers in a very quiet cabin. There is a generous amount of legroom in both rows. Plus, there is a large amount of space in the trunk. The displays are nicely laid out. The center console has everything easily within the drivers reach. You also get illuminated vanity mirrors, a tilt/telescopic steering wheel, 6-speaker audio system with HD Radio, Bluetooth, satellite radio, Apple CarPlay and Android Auto. With Disneyland done, it was time for food adventures! The first place I went to is a favorite of mine, Joe's Italian Ice on Harbor Blvd. just down the street from Disneyland! 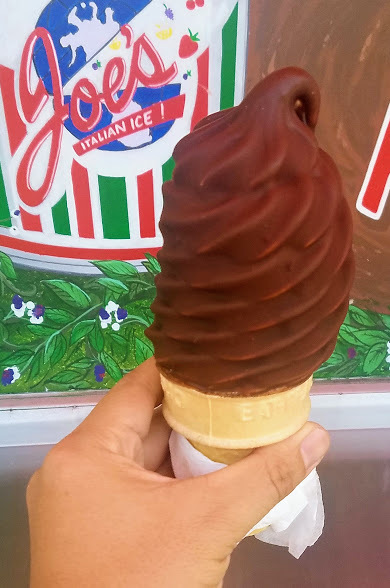 I am having one of their latest flavors, soft serve dole whip with a chocolate shell! A must have! 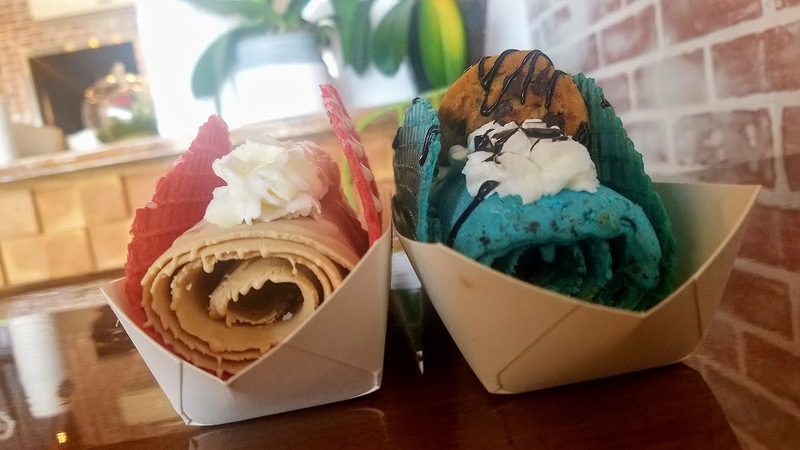 The next food adventure was for these rolled ice cream waffle tacos from Sweet Cups in Garden Grove! The left is the Vietnamese coffee ice cream and the one on the right is the Monsters, Inc. one which is like a cookies and cream. And yes, they were both delicious! 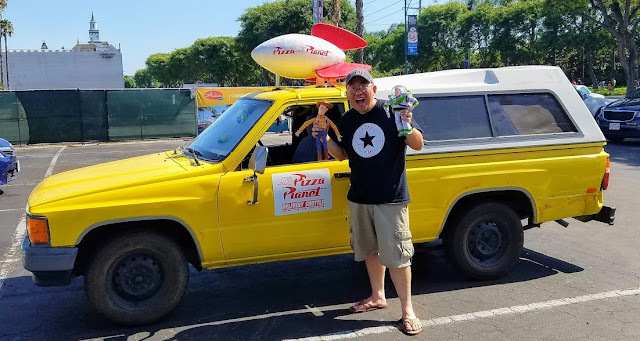 I ended up my week by hanging out with my friend who owns the Pizza Planet Truck! 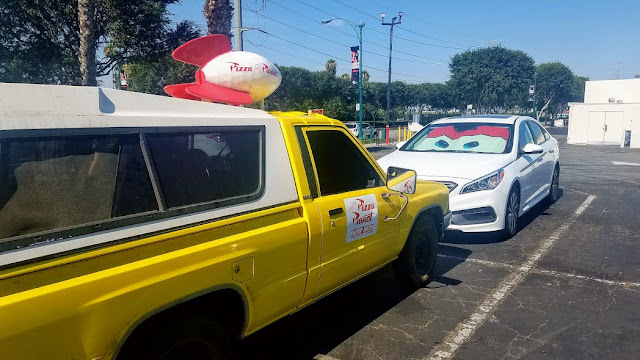 Here we are meeting up for lunch at a local pizza place called Pizza Press located directly across the street from the Guardians of The Galaxy: Mission Breakout attraction on Harbor Blvd. Love hanging out with the Pizza Planet Truck and seeing old friend Buzz and Woody! 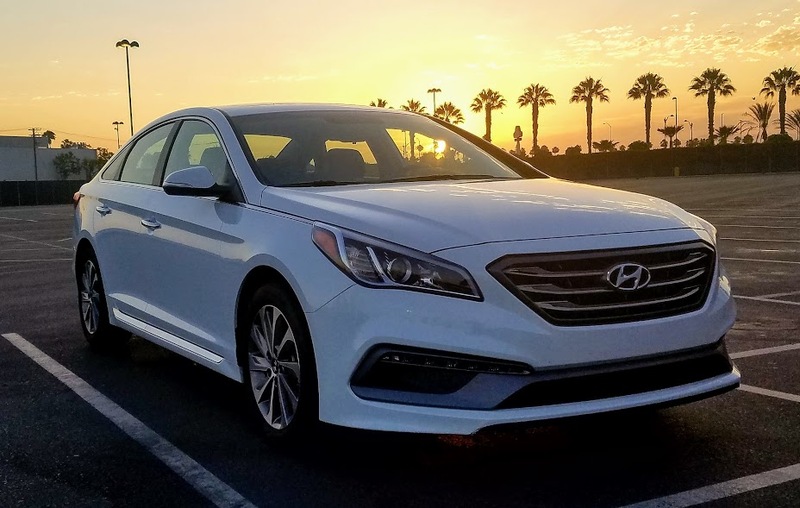 The 2017 Hyundai Sonata Sport offers a smooth ride, lots of room, great fuel economy, advanced safety features and fun tech items all make this a highly recommended family vehicle or a commuter vehicle.